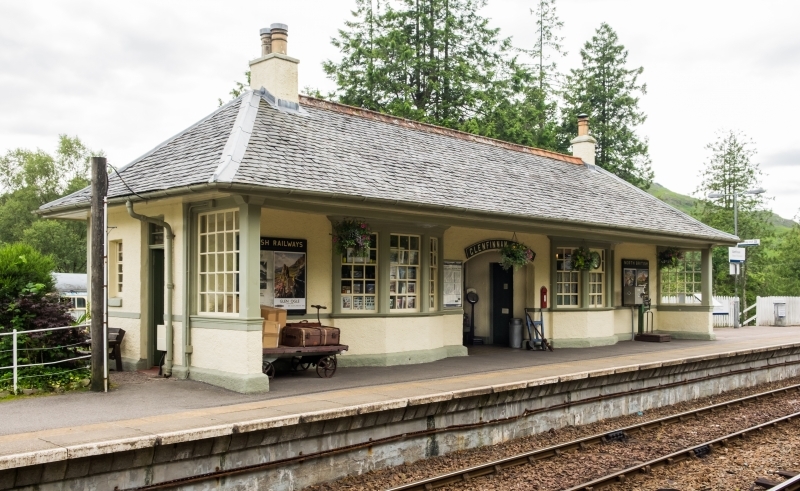 The Glenfinnan Station Museum is located in the station building, on the Down platform. The museum's exhibits focus on the construction, impact and operation of the Mallaig Extension Railway in the late 19th century. The restored booking office includes the original tablet instruments and, again since early 2012, various artefacts specific to the local area. There is also a changing exhibition of railway photography and a gift shop. The museum is open seasonally. Please give us your overall rating for Glenfinnan Station Museum.